Abilities Expo activities and events are presented by organizations and individuals who are immersed in service to the community of people with disabilities. Our presenting organizations have years of experience and are highly knowledgeable in their fields. Their accomplishments precede them and many are recognized nationally and as well as regionally for their ongoing work with people with disabilities. All our speakers have apparent and non-apparent disabilities, work in the disability field or are the sibling or parent of a person with disabilities. Adaptive Golfers brings the game of golf to all different abilities. The game of golf can intimidate and overwhelm anyone. At Adaptive Golfers, they help people find the answers and create the game they want. 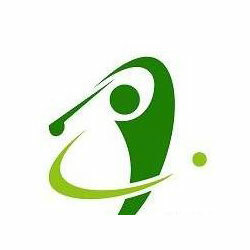 They have experienced instructors, manufacturers, and organizations working day in and day out on helping people with challenges discover the wonders and therapeutic values of golf. Find out how their services can help you get on the path to getting out to play. Learn more at www.adaptivegolfers.org. Advancing Opportunities, Inc., is a 501 (c) 3 non-profit organization providing services and supports to people with disabilities and their families so they can live independently. Recognized as one of the leading disability service providers in the state of New Jersey, the agency is committed to person-centered services delivered in the community. The Assistive Technology Center, a service of Advancing Opportunities, is New Jersey's online resource for information and equipment. We help people with disabilities, their families, teachers and employers identify and learn to use the technology that will be most effective in meeting their goals. Learn more at https://advopps.org and www.assistivetechnologycenter.org. Paralympic medal winner, World Record holder, and Athletes with Disabilities Hall of Fame inductee, are just a few of Cheryl Angelelli's accomplishments after a tragic accident in a swimming pool in 1983 left her a quadriplegic. At the time, some may have thought a promising athletic career was cut short. For Cheryl, it was just the beginning. Cheryl returned to the pool becoming a 4-time Paralympic medalist and 7-time world champion in swimming. After retiring from swimming in 2014, she began competing nationally and internally in wheelchair ballroom dancing. She is the co-founder of Dance Mobility, a free adapted dance program for persons with disabilities. 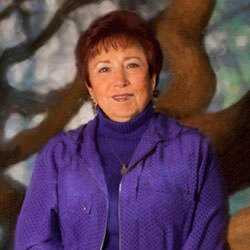 Cheryl is the marketing and public relations manager at DMC Rehabilitation Institute of Michigan. In 1991, she was crowned Ms. Wheelchair Michigan and went on to win the title of First Runner-Up Ms. Wheelchair America. During her reign, she traveled as a motivational speaker, dispelling the myths and stereotypes about persons with disabilities. 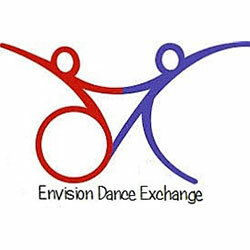 Envision Dance Exchange (EDE), introduced by Dance Innovations Performance Foundation in 2014, is an integrated dance and creative movement company for dancers of all abilities based in Chatham, NJ. Under the guidance of Susan McCutcheon Coutts (Artistic Director), participants of varying disabilities learn dance skills and form friendships with able bodied teen dance partners. Participants and volunteers learn to embrace, enhance and encourage one another while sharing a love for dance. For the EDE participant, this program improves motor skills, mood, overall health, and confidence and self-esteem. EDE also enhances social skills, builds unexpected friendships, and provides performance opportunities at venues such as ECLC (Chatham, NJ), F.M. Kirby Shakespeare Theater at Drew University (Madison, NJ), and Dance Innovations annual recital as all pursue their passion for dance. The parents of our EDE participants have said that the EDE program provides a "supportive family that welcomes ALL as part of a team of dancers" and is "a blessing to have this type of acceptance, creative outlet, and interaction for children with ADHD, dyslexia, Asperger's, Autism, speech and language impairments, Down's Syndrome and other developmental disabilities." Traci Burton obtained her Bachelor of Arts degree in French from Rider College and completed the Interpreter Training Program at Union County College. In 2015 she became the Program Manager of the Disability Health & Wellness Initiative within the NJ Division of Disability Services (DDS), where she has been able to advance such programs for people with disabilities as nutrition, fitness, emergency preparedness, and addressing violence against women with developmental disabilities. Prior to joining DDS, Traci was with the NJ Division of the Deaf and Hard of Hearing serving thirteen years as a Deaf and Hard of Hearing Specialist, where she provided information and consultation on technologic advancements that influence the lives of individuals who are deaf, hard of hearing, late deafened and deaf-blind. The mission of Canine Partners for Life is to increase the independence and quality of life of individuals with physical, developmental, and cognitive disabilities or who are in other situations of need. 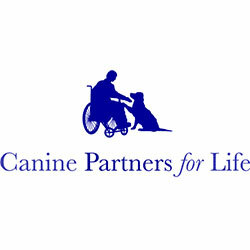 They achieve their mission by providing and sustaining professionally trained service and companion dogs. CPL's primary efforts will be focused on an area within a 250-mile radius of Cochranville, Pennsylvania, but they look forward to continuing to place dogs with recipients from across the nation who come to them because their dogs and services are held in such high regard. They train their dogs to meet the specific needs of individuals and the environments in which they are living. They seek to establish a lifetime bond between dog and graduate. They commit themselves to a comprehensive program of follow-up training and support services to ensure each team's success in achieving their goals. Learn more at http://k94life.org. Public awareness and education are very important to CDK – so important that they travel the country to talk to students of all grade levels, civic groups, religious groups, and businesses about assistance dogs. CDK also offers different ways to help educate the public about service dogs including Educational Presentations, Booth Event Participation, Americans with Disability (ADA) consulting. Members of CDK staff and volunteers travel all over the country for these opportunities. Please contact us to learn more about how we might participate in your school, business, or community event. 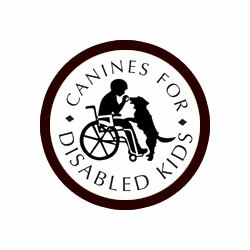 Learn more at https://caninesforkids.org. The Center for Modern Dance Education (CMDE) is a non-profit community arts organization with the mission to promote modern dance and related art forms and make it available to everyone while serving as a resource for the professional dance community. The Center seeks, through quality dance programs, to nurture talent and instill confidence in every student, and to preserve the legacy of modern dance and nurture its future. The Center believes that dance if for everyone, including individuals with disabilities, youth at risk, older adults, and people of all income levels. CMDE is a member of Dance New Jersey and the National Guild of Community Arts Education. CMDE is a current recipient of a Citation of Excellence from the New Jersey State Council on the Arts. Learn more at http://cmde.org. 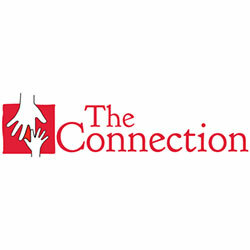 The Connection is a non-profit, women-led organization dedicated to enhancing lives and fostering community. The programs and services offered bring together individuals of diverse economic circumstances, race, gender, age, sexual orientation, culture, and physical and mental abilities to acquire skills, build self-esteem, and, through association, develop the respect that eliminates prejudice. Empower SCI is a non-profit corporation established to enable individuals with spinal cord injuries to lead happier, more meaningful and more independent lives. Empower SCI seeks to fill the gap in the rehabilitation industry that has been created by a decrease in length of stays at rehabilitation hospitals and outpatient services during the recovery from a spinal cord injury. They offer a residential program catered to individuals who have had an injury to their cervical spinal cord. The program focuses not only on the formal physical therapy, occupational therapy, and recreational therapy; but more importantly peer mentoring, rehabilitation counseling and informal knowledge-sharing between individuals who are going through similar experiences and challenges. The yearly two week program consists of a combination of individual and group therapy sessions. Each program is catered to the unique needs of the client, with client-developed goals to maximize the client's ability to lead a happier, more meaningful and more independent life. It is their focus to allow individuals with spinal cord injuries the opportunity to participate in successful rehabilitation, in a time in their lives where they are motivated, healed (both mentally and orthopedically) and have the potential to succeed. Empower SCI also runs day long wheelchair skills courses throughout the United States. Learn more at www.empowersci.org. Micah is thrilled to be part of the amazing cast and crew of the ABC network television show, Speechless. At age 15, Micah made his feature film debut in Jason Reitman's Labor Day, opposite Kate Winslet and Josh Brolin. Micah was recently named to Forbes' 30 Under 30 – Class of 2018, which acknowledges the inspiring work of young entrepreneurs and youthful visionaries. Micah is honored to have been chosen to stand alongside such extraordinary individuals making a difference in our world today. 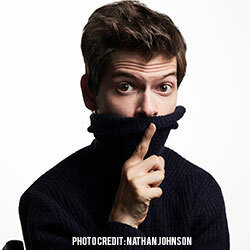 Additionally, Micah was featured in Variety's 2017 Youth Impact Report, received the 2018 Trailblazer Award from UCPLA, and received a 2017 Teen Choice Award Nomination, for Choice Comedy TV Actor, for his work on Speechless. Micah, along with the cast and executive producers of Speechless received the 2017 Catalyst Award for "Television Show of the Year" and the 2017 Television Critics Association's Award for "Outstanding Achievement in Youth Programming." They were also selected as the 2016 recipients of the SAG-AFTRA Disability Awareness Award for raising visibility and awareness to disability issues within the entertainment industry. Micah uses his voice to be a constant advocate for others with disabilities and is a proud ambassador for the Cerebral Palsy Foundation and Shane's Inspiration. The Henry Viscardi School Wheelchair Basketball Program was created to allow children of all levels of physical disabilities to play together as a team and to reach their highest potential as athletes. The program gives children a chance to have fun, learn to respect individual needs, as well as learn good sportsmanship and teamwork. Our goal is to encourage individuality, heighten self-esteem, and provide a safe environment for each member of the team. Our basketball league consists of two teams: "Cubbies" for grades 2 – 6 and "Cougars" for grades 7 – 12, as well as students in the RAMP program. The Cubbies focus on skills and drills, and the Cougars are more competitive and play in tournaments with other local area wheelchair basketball teams. 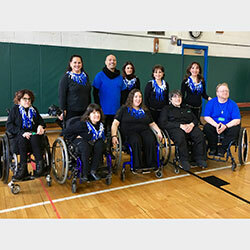 The Henry Viscardi School Wheelchair Basketball Program hosts an annual tournament every December and also participates in the Empire State Games for the Physically Challenged in the Spring. Our Basketball program culminates in an annual awards dinner in June. Learn more about this and other club and activity programs at the school at http://www.henryviscardischool.org/for-students/clubs-and-activities/. Mark Wellman is a nationally acclaimed author, filmmaker and motivational speaker. Despite being paralyzed in a mountain climbing accident, Mark has inspired millions to meet their problems head-on and reach for their full potential. A two-time Paralympian and former Yosemite Park Ranger, Mark's NO LIMITS philosophy encourages individuals to adventure into new horizons; to go beyond the seeming unreachable. Mark, faced with seemingly insurmountable obstacles, persevered courage and determination to fulfill his passion for the outdoors. He shares his story in the autobiography "Climbing Back". An accomplished wheelchair athlete, Mark is best known for the first historic paraplegic ascents of the sheer granite faces of El Capitan and Half Dome, in Yosemite National Park. His notoriety has been acclaimed on national television, by congressional commendation and meetings with two Presidents of the United States. The first paraplegic to sit-ski unassisted across the Sierra Nevada Mountain Range, Mark has also carried the flaming torch up the 120-foot rope, shocked by thousands of spectators, and lit the cauldron for the opening of the Paralympic Games in Atlanta. Learn more at https://www.nolimitstahoe.com. The owner of Masquerade Face Painting has been face painting for Abilities Expo shows since 2009! Based in New Jersey, she is a mom who developed a love of face painting after watching her own children's faces light up as they were transformed into a beautiful butterfly and a scary monster! The looks on their faces were priceless. After that moment, she could not keep my hands off of the paint brush! 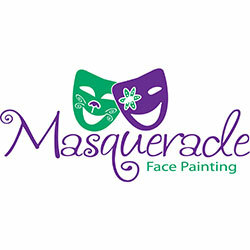 Masquerade Face Painting has entertained birthday parties, picnics, office parties, bar/bat mitzvahs, grand openings, day care centers, city and county events, and even universities. I travel to events where there are kids of all ages throughout New Jersey. 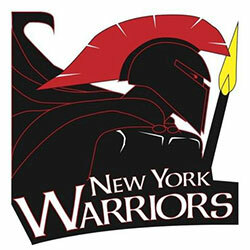 The New York Warriors are members of the United States Quad Rugby Association. USQRA exists to provide opportunity, support, and structure for competitive wheelchair rugby to people with disabilities. We are here to help people get involved in the fastest growing wheelchair sport in the world. 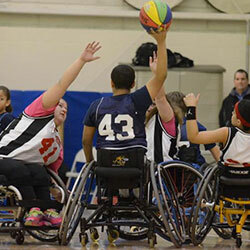 Quad Rugby and the USQRA have changed lives. There is story after story of people getting involved with the sport who have found, through peer interaction or just the raw desire to compete, the competitive outlet they hadn't felt since before their disability. Some, disabled from birth or childhood, may be feeling the competitive fire for the first time. Almost without exception, the positive influence of this challenging sport transfers into players' everyday lives. That positive power may be the best thing we can say about our association and our game. Connect with the team at https://www.facebook.com/New-York-Warriors-Wheelchair-Rugby-270018769793100/. 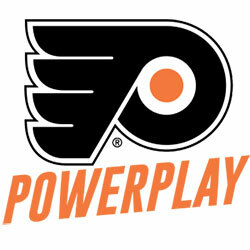 The Philadelphia Flyers PowerPlay was founded as the Philadelphia PowerPlay with the purpose of providing an athletic and social environment for people who use power wheelchairs in their daily lives. While sports such as Challenger's Baseball, Wheelchair Basketball, and Sled Hockey have been established for some time, there was a need for a competitive sport that could be played in a power wheelchair. The team plays twice a month and provides an outlet not only for members to play hockey but for the team to socialize in an atmosphere of acceptance. The family members have also been greatly affected in that they have others who share the everyday struggles and happiness that come with a disabled family member. Learn more at www.philadelphiapowerplay.com. 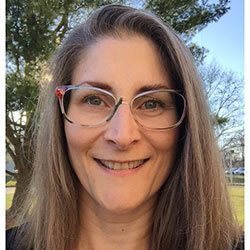 Colleen Roche is a certified information and referral specialist and currently serves as a health and wellness consultant to the New Jersey Division of Disability Services. For more than a decade, she has been committed to raising awareness of and increasing access to domestic violence and abuse-related services for the disabled. Certified by the New Jersey Victim Assistance Academy, Colleen has developed and regularly delivers trainings and presentations to individuals with disabilities, healthcare providers and other allied professionals on a variety of topics including, violence and abuse, emergency preparedness and health and wellness. She is a disability activist who sits on several boards serving in varying capacities, including Board Chair for the Alliance Center for Independence, Treasurer for the NJ Statewide Independent Living Council and Vice Chair of the NJ Personal Assistance Services Advisory Council. Regina Rosenthal is a physical therapist, teacher, author, and health coach who has worked in the healing arts and sciences for thirty years. She has presented seminars nationally and internationally to physicians, health professionals, and community groups, and has worked in hospital, university, home care, and private practice settings. Regina has taught "Self-help for Arthritis" classes through the NJ Arthritis Foundation, and developed a "Self-help for Chronic Pain" program toward her Master's Thesis, which she taught for five years. She also designed and taught "Stress Busters," a stress management program used at the Facial Pain Clinic, University of Medicine and Dentistry of New Jersey during the nine years she was an Associate Instructor there. Her book, "The Heart of Healing: Discovering the Secrets of Self-Care," teaches how to increase awareness and become empowered during healing by using Self-care practices. Regina is an Advanced Practitioner and Instructor of "Process Acupressure" and "Acupressure for Anyone" through Soul Lightening Acupressure, a non-profit corporation providing training, education, and service to health professionals and community groups throughout the world. She believes that when internal wisdom and abilities are combined with external health services and resources a partnership is established that amplifies healing and maximizes overall well being. Learn more at http://reginarosenthal.com. Roll Call Wheelchair Dance is an organization exclusively for charitable and educational purposes. The mission of Roll Call is to teach people of all ages and abilities how to partner dance. Roll Call Wheelchair Dance provides programs for groups and facilities that serve populations of people in wheelchairs and adults and children with all movement disorders provide a social dancing outlet for these populations provide opportunity to learn competitive style wheelchair dance and to compete at local and national dance competitions ​bring the joy of dance to the developmentally challenged, serving both Bergen county (Sprectrum for Living) and Rockland county (ARC). Learn more at www.rollcallwheelchairdance.org. 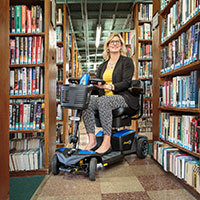 Jennifer Shore is a health and wellness advocate for persons with disabilities. During her career spanning more than twenty years in the field of disability services, she has collaborated on three books geared towards health and wellness issues specific to more vulnerable populations. 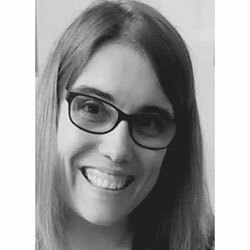 In addition to the books, Jen has worked with individuals with disabilities on developing and implementing personal health plans and achieving their personal wellness goals. Jen's passion is educating people about nutrition, exercise and wellness. This company showcases the talent of dancers demonstrating "Dancing beyond disability" with grace, charm, perseverance, soul and power. Their mission is to create performances that are witty, soulful, intelligent, powerful and intriguing; to create original dance works of artistic distinction performed by dancers "dancing beyond disability;" to present new, exciting, challenging and inspiring contemporary dance performances to the widest possible audience; and to encourage the integration and inclusion of people with disabilities in dance and in society. Learn more at www.zcodanceproject.com.